Little Dolphins By The Sea is an independent not-for-profit school located in Santa Monica. We have served Santa Monica, Brentwood, Westwood, Venice, Pacific Palisades, Marina del Rey, Malibu, Mar Vista and the surrounding Westside communities for 24 years. Founded in 1992, Little Dolphins By the Sea promotes imaginative thinking through rich, immersive experiences in art, theater, music, and literature. We recognize that children learn best when they feel secure and seen, and that they engage most deeply when their senses are awakened. We focus on developing the whole child including social, emotional, physical, and cognitive skills, all while helping build a love of learning through active play. Our generous campus, in Santa Monica, allows us to offer an exceptional learning experience. A 5,500 sq. ft. building, including classrooms, a library, and a large performance space, provides a stimulating environment for projects and play. A 17,000 sq. ft. yard serves as an outdoor classroom and community hub, with a garden, play structure, sand box, project center, lunchroom, and a large stage in the shade of a grove of mature olive trees. We offer a five-day a week preschool program for children aged 2 years and 6 months through 5 years and 2 months. The day runs from 8:45am – 1:00pm. Between 1:00pm and 3:00pm we offer an extended-day program. Our transitional kindergarten is open to children aged 4 years and 10 months through 5 years and 2 months, and runs from 8:45am – 3:00pm. Student-teacher ratios are 6:1 among the younger groups and 9:1 among the older groups. 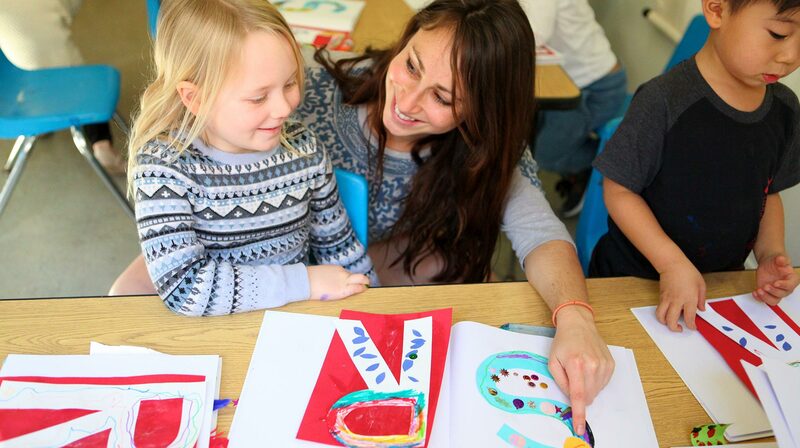 All of our preschool, extended-day, and transitional kindergarten programs take place on our campus, in Santa Monica. Our individualized learning plans, small class sizes, one-on-one instruction, and a developmentally-appropriate curriculum founded in brain research create a safe space for our students to explore their interests, believe in their dreams, and ignite their imaginations through play. Please call the office or fill out our application for more information about Little Dolphins By the Sea. "My first impression of Little Dolphins By The Sea, back in 2003, was, "Wow—what a wonderful place for kids!"